Did you know Jupiter has an ice moon? Just think: an entire mini-planet of first descents, probably with mellow gravity so you can really charge stuff. No joke. 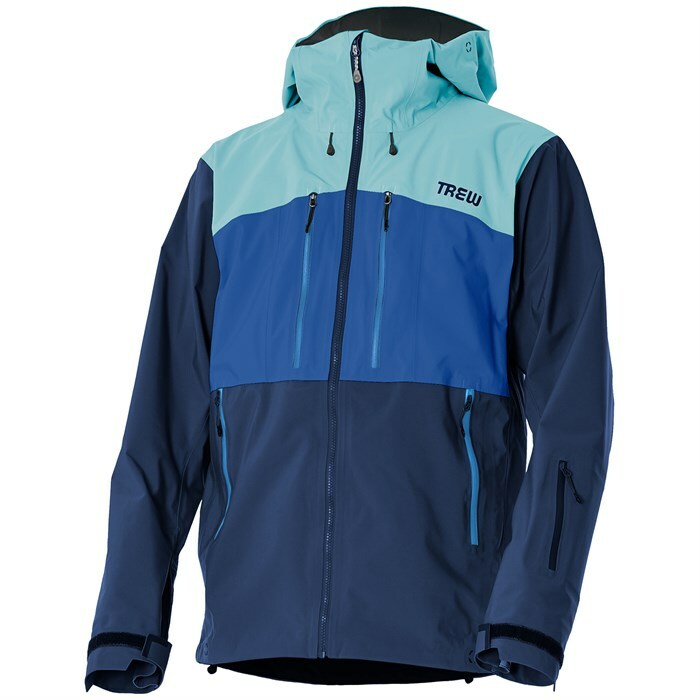 If you can figure out how to get there, the Trew Gear Cosmic Jacket can handle the journey. It's made from 3L Dermizax, which has waterproof / breathability numbers that are not of this earth, and is approaching double digits in pockets--all of them waterproof and amazingly well-placed. Constructed to handle the punishment of riding lifts and long backcountry days, it excels on planet Earth. But seriously, imagine it: ice moon! Modern Freeride Fit  Longer and slimmer in the body than a traditional alpine shell.